Having witnessed Madonna in full-throttle-self-centered-diva-mode multiple times over the years, I didn’t dispute the veracity of the recent news that the pop superstar was reprimanded for repeatedly texting during a New York Film Festival screening of 12 Years a Slave. (According to eyewitnesses, after being politely asked to stop texting, Madonna spun around and hissed “it’s business…enslaver!“) Call me a cynic, but this quote sounds much more like the real Madonna than when she sang John Lennon’s “Imagine.” Enslavers aside, no anecdote from my personal celebrity sheath of shame so completely pierces Madonna’s sanctimonious, bedazzled cloak of narcissism—I mean spirituality—as clearly as the night I witnessed the meeting of the “Material Girl,” k.d. lang, and the late, great Peggy Lee. It was the summer of 1992 and I was working for Time Warner Chairman Gerald Levin, who was hosting an intimate after-party celebrating lang’s sold-out Radio City Music Hall show in a midtown atrium that connected two east west streets somewhere in the mid-West 50s. I was the only person who bore witness to Madonna’s scalding breach of sensitivity because I was standing right next to her—and I assure you she didn’t say “namaste.” Nowadays that long-ago moment would have been memorialized on a iPhone camera and disseminated on the Internet within minutes—a totally digital TMZ moment during the analog-Liz Smith era. After the jump, the back story of how these women were musically connected and how they happened to physically intersect at the exact moment that I was standing there. 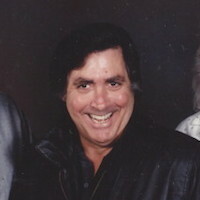 The Seymour Stein Connection: In the 1990s lang and Madonna were label-mates on Seymour Stein’s Sire Records, a subsidiary of the Warner Music Group, then owned by Time Warner, Inc; hence the Jerry Levin-hosted soiree (the fact that Time Warner had just launched a joint venture company with Madonna called Maverick was an additional reason why Levin and Madonna would be in the same room). Seymour Stein was one of the great old-school record men. He was (and is, still) brilliant: you can name any song and he will tell you who recorded it, what year, its chart position, and even what color the label was. It was because of great A&R people like Stein who had a golden ear for talent and songs, that great artists were discovered, nurtured, and important songs from earlier eras were passed down to younger artists. This important exchange of information—an intellectual transaction, of sorts—is all but gone in the post-record label digital world of the 21st century where we are all, recording artist and consumer alike, essentially on our own, without the guidance of great musical minds like Mr. Stein. I had run into Seymour in the mid-summer of 1992 in the lobby of 75 Rockefeller Plaza where we both worked. His nickname for me was Rhonda Fleming, after the flame-haired 1950s starlet, because of my long red hair. When I asked what was up with Madonna’s new album, he excitedly informed me, “I got her listening to Peggy Lee. 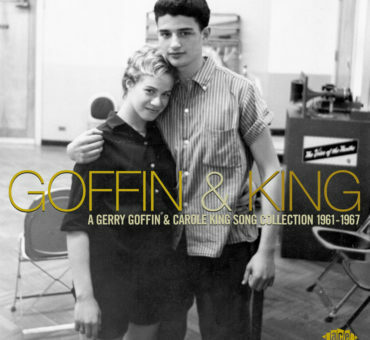 She is going to cover ‘Fever’ or ‘Why Don’t You Do Right.’ Stein understood how cool Peggy Lee was and I could see what a thrill he got from this music publishing equivalent of a home run. I remember our conversation specifically because although I knew “Fever” quite well, I had never up to that point heard “Why Don’t You Do Right,” written in 1936 by Joseph “Kansas Joe” McCoy, which I subsequently sought out and fell in love with. This was the magic of the old media structure: in a sense, both Madonna and I—and subsequently the whole world—learned and grew because of Seymour Stein’s knowledge and passion for pop music history. 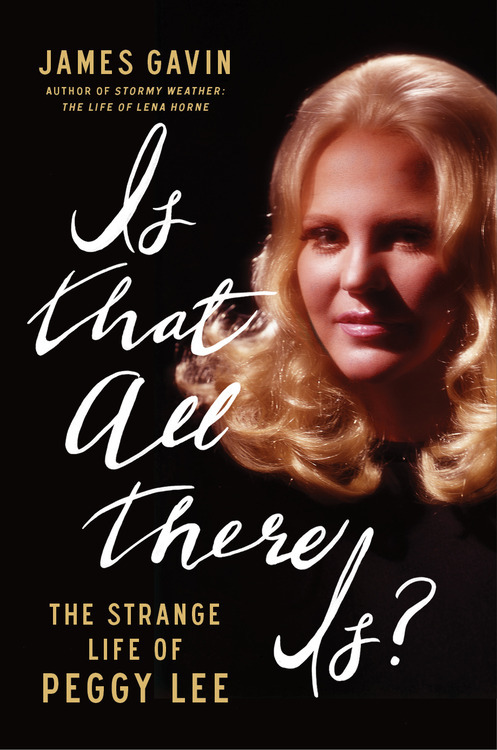 “Is That All There Is, The Strange Life of Peggy Lee,” by James Gavin. The k.d. lang Breakthrough: In March, 1992 Sire Records released k.d. lang’s Ingenue, a watershed album which transformed the androgynous, alt-country crooner with the golden voice into a huge mainstream pop star. 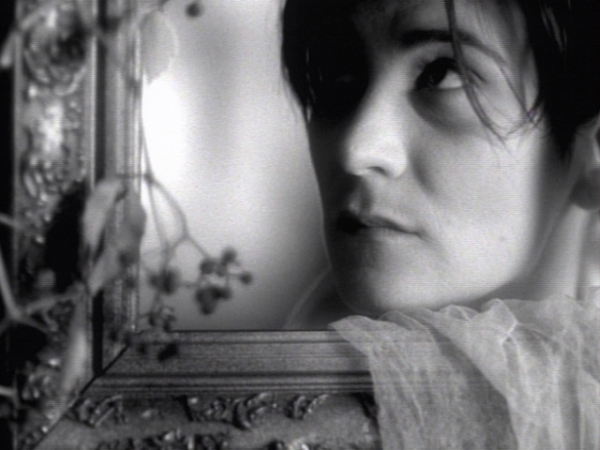 Ingenue even spawned a top-1o pop hit with the loping ear worm Constant Craving. There’s no question that 1992 was k.d.’s biggest year. In retrospect, it was also my biggest year—but I’m getting ahead of myself. In late August of that year, Lang performed two sold out shows at Radio City Hall. In his glowing New York Times review, Jon Pareles described the young singer as a throwback to Patsy Cline and Peggy Lee and placed her squarely on a continuum of the great torch singers. I was at the show one of those nights with Seymour Stein, the president of Sire Records and Jerry Levin, the Chairman of Time Warner, and I will never forget the power of lang’s voice as she filled the huge room with sound. It was nothing short of thrilling. The Peggy Lee Piece: Miss Peggy Lee got her break singing with Benny Goodman in the 1940s and parlayed that success into one of the great recording careers of the 1940s, 1950s, and 1960s. Remembered today for her success as a recording artist and as a headliner during the golden age of nightclubs, what is less well known is that in addition to being one of the great interpreters of songs, Peggy Lee was also an accomplished songwriter, having written songs for Disney’s The Lady and the Tramp as well memorable collaborations with legends like Harold Arlen, Duke Ellington, and Quincy Jones. By any estimation, she was one of the most influential singers of the 20th-century, appreciated for her elegant, laid back touch. In a sharp contrast to what constitutes pop singing today, Peggy Lee never, ever oversang. Here she is performing “Fever,” one of her signature songs, on a mid-1960s TV show. She is accompanied by Max Bennet on bass and Jack Sperling on drums. k.d. 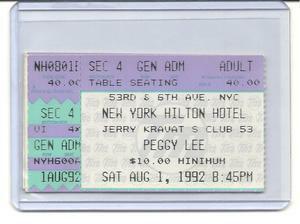 lang wasn’t the only one who was performing in New York City that August, because Peggy Lee herself was opening Club 53, the new supper club at the Hilton Hotel on 6th Avenue. I believe she was the first artist to perform at that venue, a throwback to the rooms she had ruled in the 1950s and 1960s. At that point Lee was struggling with multiple health problems and confined to a wheelchair, but that didn’t still her mighty spirit. Though she’d had a stroke which had affected her speech, she was still “Miss Peggy Lee”—charismatic, funny and, from time to time throughout the set, able to summon the spirit of her earlier days. I remember one aspect of this illusory power specifically: at the end of each song as the lights dimmed and Lee held a final pose, there would be a single moment in the transition from light to dark where you felt like you were seeing Peggy Lee in her youth through the haze, like a light through fog. It was positively captivating and I will never forget the eerie, magical feeling of time travel that fell over the room. She’s No Lady, Madonna: The night I went to Miss Lee’s show at the Hilton, Madonna blew in with Seymour Stein and an entourage, giving the otherwise retro experience a big dollop of Page Six cred (remember, this was 1992 and Madonna’s fame was at her peak). It was fun to watch Madonna watching Lee sing “Fever,” knowing that the younger singer was about to refocus worldwide attention on the 1956 song by Otis Blackwell and Eddie Cooley, which Lee first recorded in 1958 and, over time, became closely associated with her (it is a little known fact that Lee rewrote the lyrics to the song. It is my understanding that the verses that begin”Romeo Loves Juliet” and “Captain Smith and Pocohontas” are Lee contributions, as is the finger snap rhythmic approach). 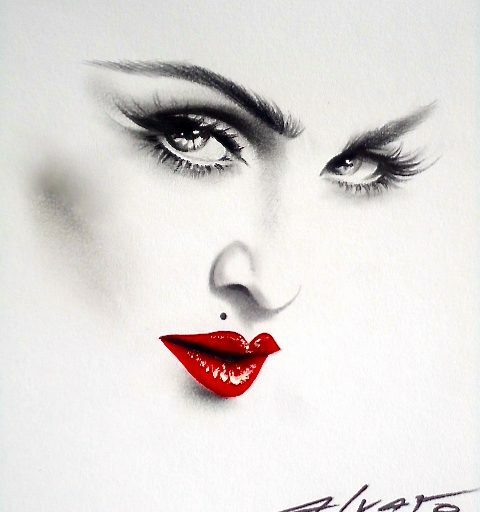 Indeed when Erotica was released a few months later, Madonna’s cover of “Fever,” produced with Shep Pettibone, became her fifteenth number one dance record. A Less-Than-Harmonic Convergence: The paths of the three great singers, all at different phases of their careers, seemed to in some way dance around each other throughout 1992 and, strangely, I always seemed to be present when they did . All of the energy of this female vocalist triumverate, which had seemed to be building to some sort of critical mass (at least from my diva-friendly perspective), finally converged a few weeks after Peggy’s engagement at the Hilton ended. On Wednesday, August 25th, k.d. performed her first of the aforementioned two sold-out shows at Radio City. She was sublime. As I mentioned at the top of the piece, Sire Records threw an afterparty honoring k.d., no doubt pulled together by publicist Liz Rosenberg. Because the event was held in an unusually narrow atrium with too many tables, too many people and Madonna, the biggest pop star in the world at that moment, I remember the energy in the space being very strange. Mingling was out of the question, with all of the stars coralled at the far end of the room, like penned in animals. Because I worked for the Chairman, the layout of the oversubscribed event in no way prevented me from standing at “diva ground zero”—right next to Madonna, k.d. and my boss, the Chairman of Time Warner, Gerald Levin. The fact that I had little to add to the dialogue was of no consequence to me. When I was young, I was bold and entitled. It was from this vantage point that I listened to their conversation. k.d. seemed much more comfortable in her skin than Madonna did— no surprise there—and had a much easier rapport with Gerald Levin, the ultimate “suit.” Madonna simply did not know what to do or how to act if she wasn’t the absolute center of attention and this was certainly k.d.lang’s night. Suddenly there was a commotion at the opposite end of the atrium. I looked up and beheld what looked, at first, like a billowing, shimmering cloud, but upon closer inspection, turned out to be Peggy Lee, slowly being rolled into the room in her wheelchair. 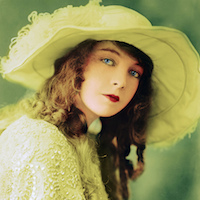 Even though she had been battling health issues, she was still every inch the great star: cloaked in a voluminous satin dress with fur trim and matching satin shoes; her white blunt cut wig shimmering in the light; her make-up just perfect; and, most perplexingly, a small bejewled crown perched atop her wig. I will never forget my ex-boyfriend’s sarcastic, cold reaction to Peggy’s visage, suggesting that she looked like an inflatable version of Janice from the Muppets and, even worse, that the unusual crown upon her head was actually a device that enabled Miss Lee to receive messages from outer space. Turns out this was only the second and third most insensitive comments uttered in the five full minutes it took the star to negotiate the obstacle course of a room, for the most insensitive and disrespectful comment was just around the bend. One had to stop and admire this woman, who despite having had a stroke and a myriad of other health problems, had not given up. She was still performing and, though diminished, still very much alive. She was certainly someone worthy of respect and reverance, especially from a younger singer like Madonna. This was, unfortunately, not the case. 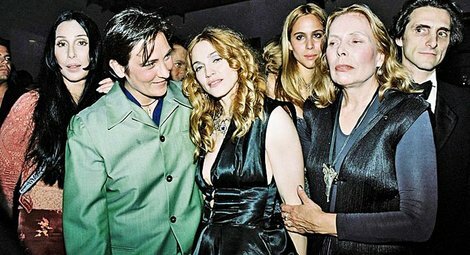 Moments later, when Miss Lee finally rolled up at the feet of Madonna, the younger singer proved to be a far better actress than she had ever demonstrated on film, as she gushed over Miss Lee. 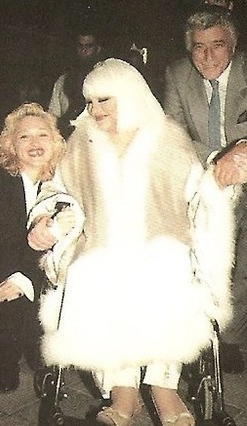 I remember feeling grateful that Peggy Lee would never have to know that Madonna’s true level of respect could fill a thimble. Torch Song Elegy, Volume 3: Bombshell! An Open Letter to Christina Aguilera Exposing the “Dirrty” Secret She Doesn’t Want You to Know! 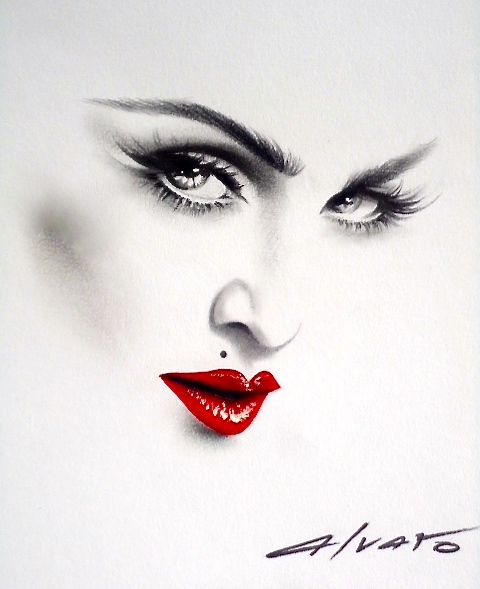 *Alvaro is a world-renowned artist celebrated for his portraits and illustrations of the icons of film, music, and pop culture, as well as his “girls”—the super models. A true New Yorker, born in Brooklyn and raised in the South Bronx, Alvaro’s work is distinctive for projecting a contemporary streetwise sensibility while simultaneously evoking the timeless glamour of classic Hollywood. "Why Don't You Do Right"
Ahhh those 90’s TW galas. 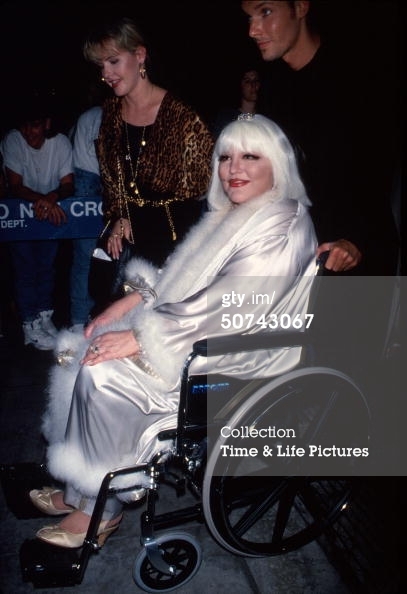 But I do remember my first “NYC” event ever was Peggy Lee at The Ballroom in 1986 when my table-mates (in a two-foot-square table) were Lily Tomlin and Jane Wagner. Ah yes! You must read my friend James Gavin’s phenomenal new Peggy Lee bio which actually recounts and evening in the late-1970s that a friend coaxed her out of her bed and down to the Roxy on Sunset to hear Peter Allen. This book, Is That All There Is? The Strange Life of Peggy Lee was so hypnotic to me that I felt hungover for days after I finished it. I just didn’t want to leave Peggy’s crazy/brilliant world.